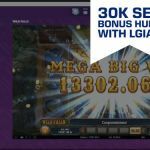 Tuesday’s streaming session started like any other on LetsGiveItASpin. Kim was playing a number of slots which were not being very generous. After a bad run on Dragon Born and Raging Rhino it looked like the stream would have a premature and disappointing ending. However Kim decided for a new bullet, as he did not want to end the night like that. ….And boy was he right…. Kim had made the list, of slots to be played, himself for Tuesday. 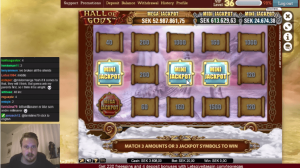 And he had included Hall of Gods as a nod to one of his viewers who likes the slot. As Kim was taking a break the autospin option landed a lucky spin with 3 bonus symbols. 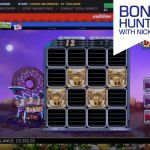 The Hall of Gods bonus game lets the player pick from a number of shields each hiding a cash prize or the big and mini jackpot symbols. 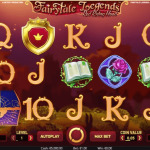 Three jackpot symbols will result in the player winning the Jackpot. Even though Kim was making remarks on how he is not a big fan of Jackpot games his picks were excellent. Apparently Kim was using, what he referred us, the Corner Strategy. 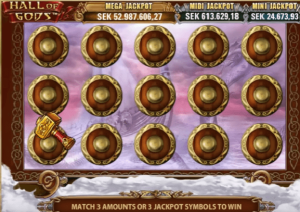 After revealing all symbols, including two mini Jackpot symbols, only one shield was left. Kim was absolutely sure that there was no way a third mini Jackpot symbol would be hiding under the last shield. And then it happened! 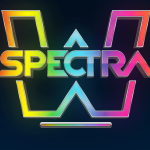 The last shield reviled the third mini Jackpot symbol. Neither Kim or the viewers could believe it. The reactions were understandably full of shock, astonishment and exhilaration. This was the first time Kim had won a Jackpot live on stream. 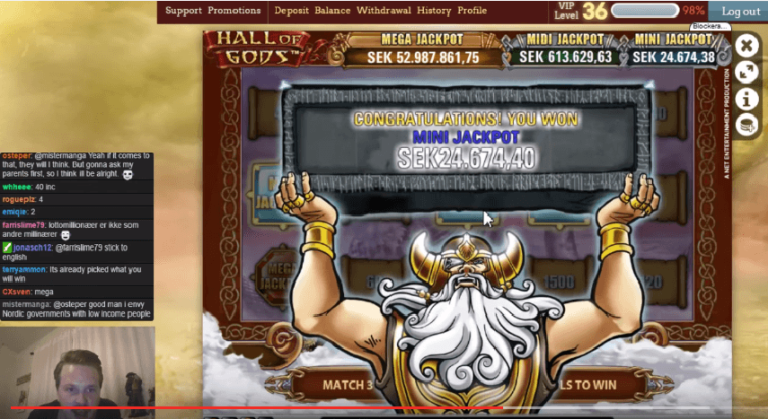 The amount was quite big for a mini jackpot: 24674,40 SEK or 2594,73 €. After recovering from the surprise and enthusiasm the stream continued normally, but of-course with some higher bets this time.